For a while there, it looked like Season 2 might be the end of HBO's Getting On — and I'm not even talking about the unfortunately low ratings. If the investigation into the misuse of Billy Barnes' hospice care program didn't get the show's protagonists, then their suicide pact on the roof of Mount Palms Memorial Hospital surely would. And yet, Jenna James, Dawn Forchett, and Didi Ortley all survived to see another year, as the cringeworthy comedy was renewed for a third and final season. 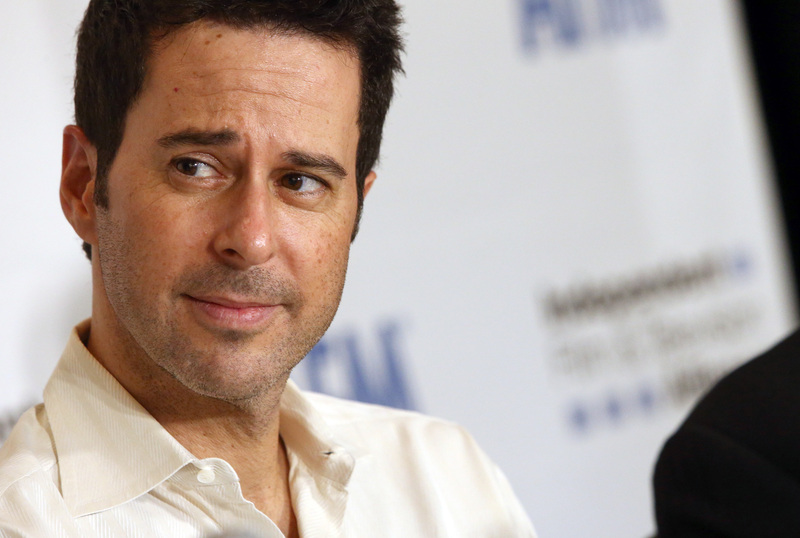 And with the new season comes a whole host of new faces — including Jonathan Silverman as Dr. Happy Gladden. Yes, you read that right. This new character's name is actually Happy Gladden. Only the twisted minds behind Getting On could come up with such a ridiculous name. Played by Silverman — no relation to fellow funnyperson Sarah — Dr. Gladden is a nephrologist. (For those of you rusty on your medical lingo, that's a kidney doctor.) His introduction into the show is fortuitous timing, given that a federal investigation, the dismantlement of an entire extended care program, and the loss of one's job is enough to drive any sane person to drink. I wouldn't be surprised if Dr. Gladden is taking care of the entire Billy Barnes staff by the end of the season. Silverman, of course, is most famous for his starring role in the 1989 cult comedy Weekend At Bernie's. His other famous film roles include the 1985 Sarah Jessica Parker comedy Girls Just Want To Have Fun and the 1986 Neil Simon adaptation Brighton Beach Memoirs. He also had his own sitcom in the '90s, The Single Guy, which ran for two seasons on NBC, also featuring future Agents Of S.H.I.E.L.D. star Ming-Na Wen. More recently, Silverman starred on The CW summer comedy Significant Mother, which just wrapped its first season last month, as the recently-separated husband of the titular spouse. But Silverman's won't be the only new face onscreen when viewers tune into Getting On's new six-episode season. Grant Bowler ( Defiance ) also joins the cast as Dr. Ron Rudd, Dr. James' potential replacement; Marsha Stephanie Blake ( Orange Is The New Black ) will appear as Didi's sister-in-law; Ivonne Coll ( Jane The Virgin ) and Rhea Perlman ( Cheers ) will play the role of Patsy's mother and a patient, respectively; and even Vicki Pepperdine and Joanna Scanlan, the stars of the original British version of the show, will stop by in the season's fourth episode. All in all, it's looking like an action-packed final season for the cast and crew of this underrated comedy. And what better way for Getting On to go out than how it all began: amidst a whirlwind of cringeworthy chaos.